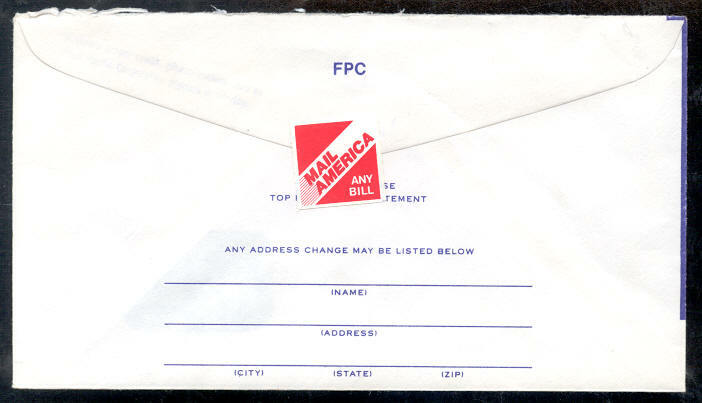 Prior to react U.S.A. stamps, those labeled Mail America appeared. 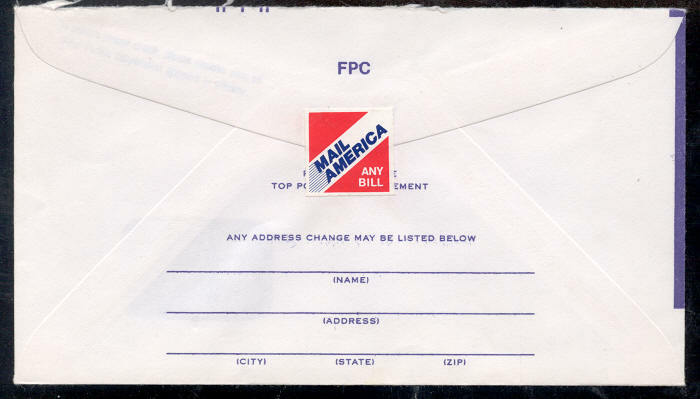 This example is red and blue printed on white stock. Perhaps it is a forerunner as described by the auction house from which these examples were obtained. 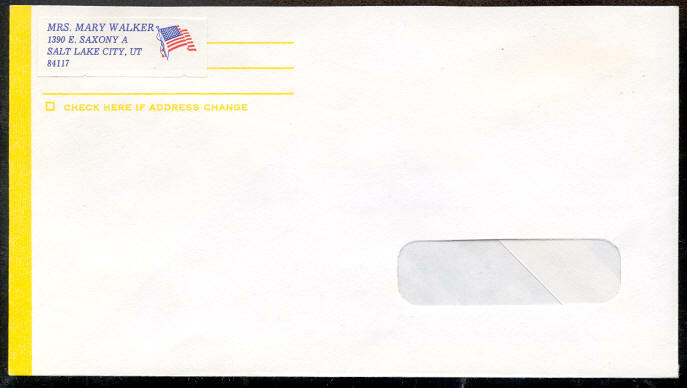 A second version of the Mail America stamp again on glossy stock.. 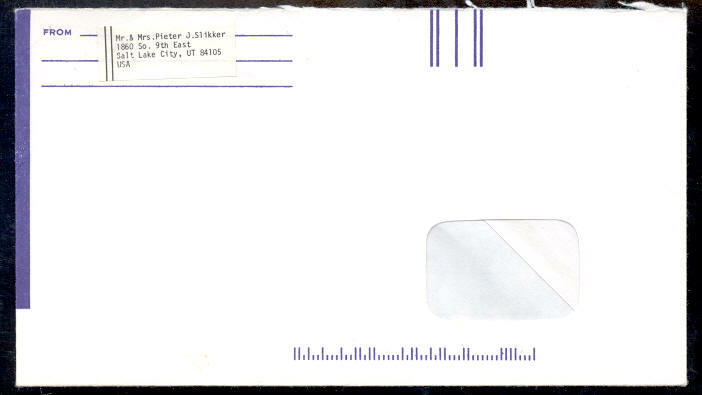 Both Mail America stamps react to long wave (LW) ultraviolet (UV). 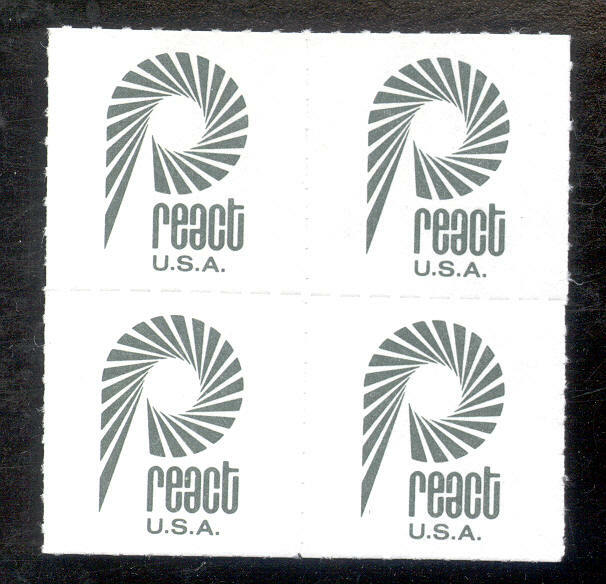 The mint block of react stamps shown below have dull gum, are printed on non-glossy paper and are non-reactive under LW UV. 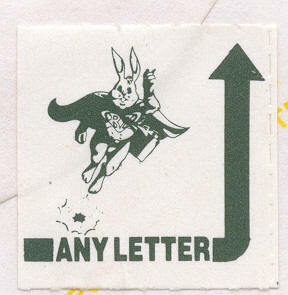 A closer look at the block at 300 dpi showing more detail and making the rouletting more apparent. 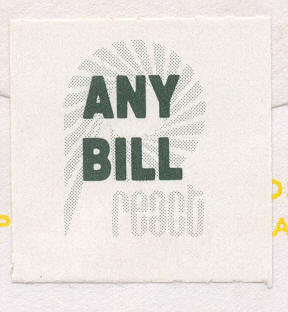 The react stamp on the usage below is printed on glossy stock and is reactive under LW UV. 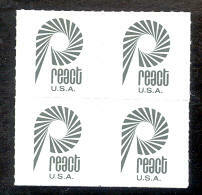 Two other different react stamps. 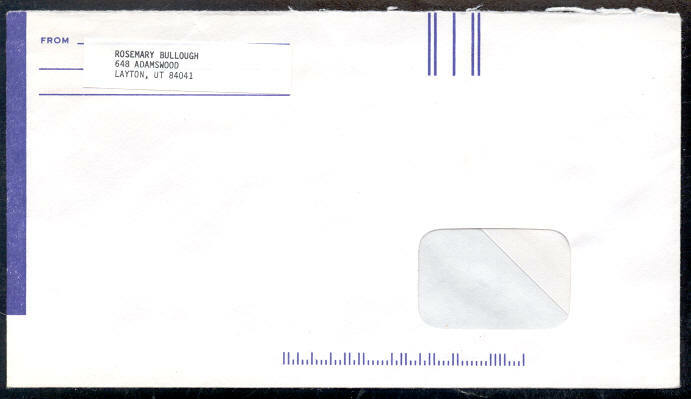 Neither envelope has USPS postage. One has a Salt Lake City return address, the other does not have a return address. 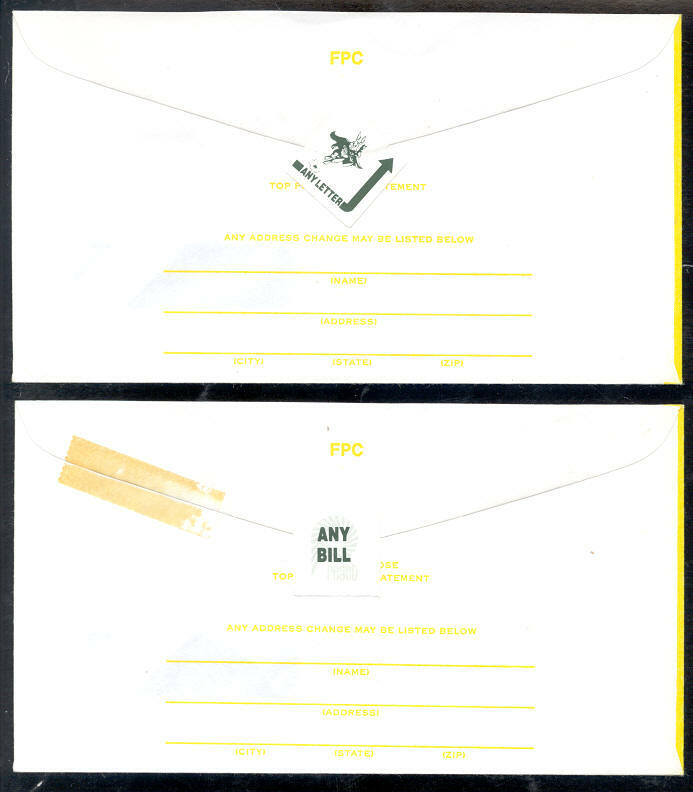 Both stamps are also on glossy stock and reactive to LW. 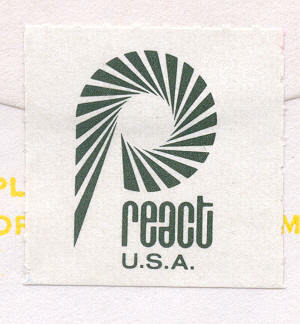 Below are 300 dpi scans of the react stamps from the above usages. 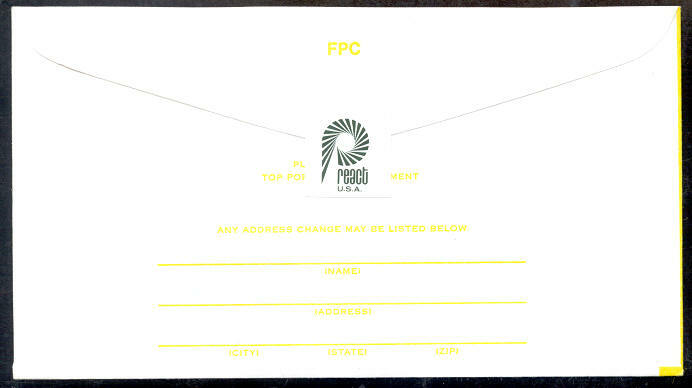 I have no information as to the cost to the user of the react service nor do I know if the service was simply a private delivery service, a mail consolidator or some other combination of services. I would appreciate any information you might be able to share.